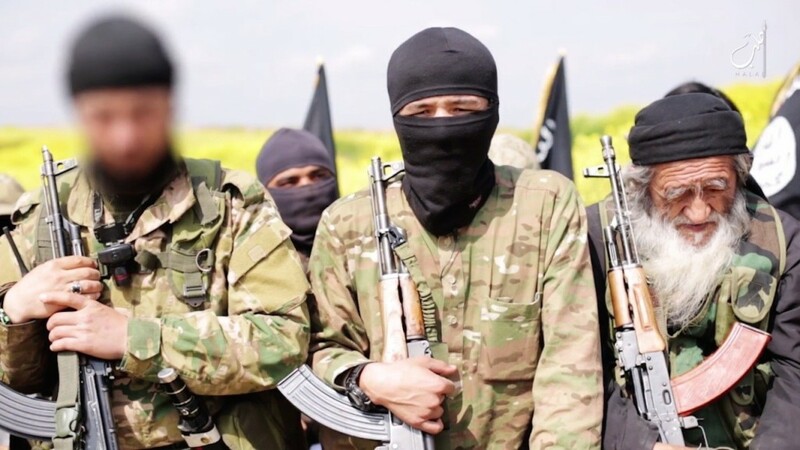 The Levant News – New York By Ghassan Michel Rubeiz– In the international war on ISIS, the Islamic State in Iraq and Syria, a hidden silver lining is emerging: serious self-criticism within Muslim society and growing convergence of opinion of world leaders on ISIS. Regrettably, these two recent developments are not serious enough to lead to the “dismantling and degrading” of ISIS. As radical Islamist terror spreads in Iraq, Syria, Libya, Yemen, Somalia, Sudan, Nigeria and Afghanistan the Muslim world is alarmed. Local criticism of the status quo is bound to gain steam. In the past, criticism of Islam and Muslims usually came from the West; but now Muslims themselves are speculating about the causes underlying terrorism. Rulers and religious scholars are condemning terror in public. Parents are questioning the quality of religious education their children are receiving in schools, mosques and through the media. The impact of sectarian politics on the spread of conflict is clear to all. Governments are regulating sermons and revising curricula. Writers are discussing human rights. Many politicians are calling for unity of Muslims across the Shiite-Sunni divide. Self-criticism within Islam is growing but the pace is regrettably too slow. As long as ISIS is viewed through a political lens – as a terrorist movement, an aberration, an extreme- people will continue to miss the causal connection between institutions of religious intolerance and oppressive authority in the family, the tribe, the school, and above all. While ISIS is clearly not representative of mainstream Islam this disturbing movement is a natural product of fanaticism in daily living, in laws and in politics. A nation which prescribes death for converts, atheists and apostates is likely to produce ISIS type movements. The world view of ISIS and its style of combat are not a product of Islam (the faith) but of Muslims’ literal and non-contextual interpretation of Islam in many societies today. Christians “had been there” too in past eras. In medieval times religiously fanatic European societies gave rise to the Crusades. The Crusaders gathered from different countries to “liberate” Christian holy sites from Muslim rule. They invaded Palestine, Syria and Lebanon and stayed as occupiers for over two hundred years, until they were defeated and driven out by local armies. In the name of purity of religion, ten centuries ago, the crusaders organized brutal invasions, recruited international volunteers and committed war crimes no less savage than those of ISIS. The second manifestation of the silver lining is an emerging international consensus on ISIS. On September 28 President Obama declared that “the United States is prepared to work with any nation, including Russia and Iran, to resolve the conflict” in Syria, indicating that ISIS is the primary enemy. Former adversaries are now communicating directly and considering collaboration to, at least, avoid “stepping on each other” in the battlefield to defeat ISIS. Iran is invited to participate in international meetings on conflict resolutions. Turkey is willing to allow the US to use a strategic base to launch air attacks on ISIS. Moscow and Iran’s view on Syria (working with Assad while dismantling ISIS) is beginning to make sense in some western European nations, but still not in Washington or Paris. Global convergence is still limited. Sadly, Moscow and Washington are in a cold war mode: Putin’s support of the Syrian regime is as problematic as Obama’s support of Saudi Arabia, an aggressor in neglected Yemen. While convergence of international opinion on ISIS (as a common threat) is growing there is still no plan for collective military action on the ground to defeat ISIS. As Saudi Arabia is preoccupied in a manifestly unwinnable war in Yemen, Turkey is distracted by an emerging Kurdish control region in north Syria, and Egypt is struggling with severe local dissent at home, there are no local armies prepared to take the lead in the ground fight against ISIS. No Western state is willing to step into a new military quagmire; Iraq and Afghanistan provide a clear history lesson. ISIS is an idea; it can only be defeated by a better one. ISIS is also a formidable regional political entity; it has to be dismantled locally. Only Muslim armies can collectively lead in the job of eliminating the idea and the structure.